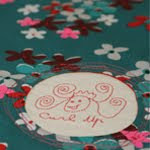 Curl Up English: Regular post! Thanks to the blog and our facebook pictures family and friends are aware of our adventures in the Middle-East. One couple in our circle of friends is not aware at all of the life we lead. After months of futile attempts to use a computer and surf online, they renounced the use of a computer for good. They beg me every year to get some updates of our life through regular airmail. Honestly the ease of current e-communication made me lazy, but when I found this delightful ‘Pigeon Voyageur’, I knew who would finally receive something in his mailbox from us! 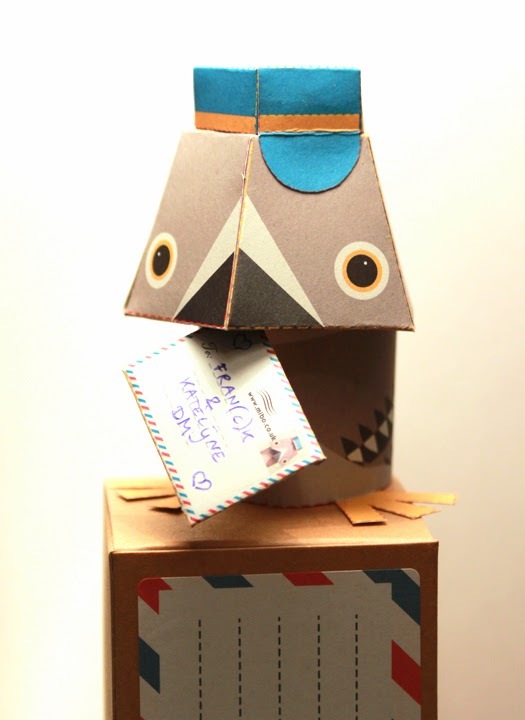 The kids cut, folded, glued, and wrote a message on a tiny note; the envelop slit in the pigeons beak and it all fits in a cute little box. I hope our ‘letter’ arrives safe and sound, we miss you dear friends without internet!